David's Road cut-off style trousers in a blue/black fabric, with deep black stripes. 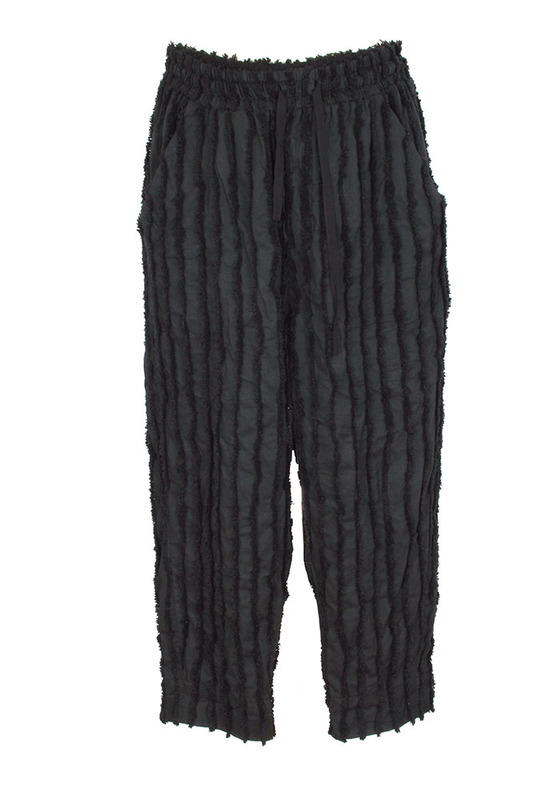 Elasticated waist with drawstring tie, placket with no fastenings underneath as the fly is stitched up. 2 side pockets. 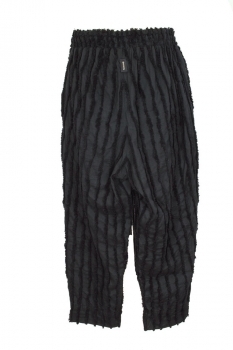 The fabric is amazing and comprises soft, black raised, textured stripes. The hems are turned with stitch detail.